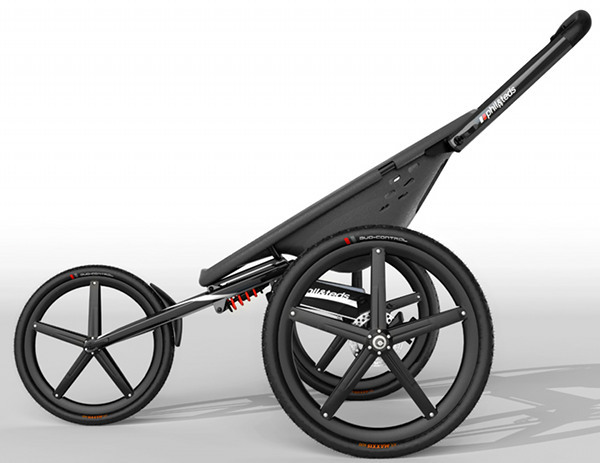 If it looks like it’s built for speed, that’s because it is – here is pram engineering at its finest and coming to athletic parents everywhere this year. If you’re serious about your exercise regime and determined that having a baby isn’t going to change that, then hanging out for the Phil and Teds Sub4 might be just your ticket. Most of us want to regain our fitness post-baby and the right or wrong pram has significant impact on these plans. 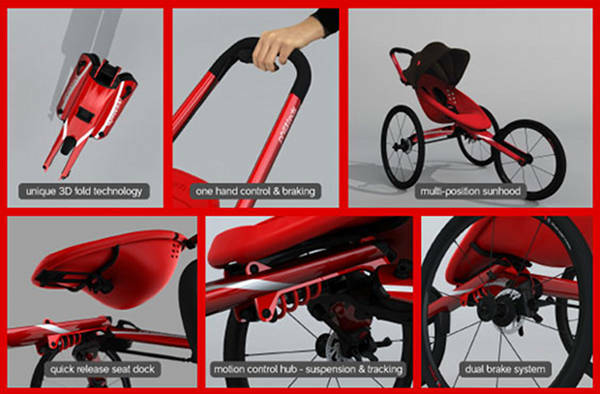 This dedicated fitness pram features one-hand control and with its biomechanic design, ensures a long stride is possible so you can clock up the kilometres! It’s being marketed as ‘the world’s fastest jogger’ so in keeping with this claim the chassis design includes a low centre of gravity and is lighter, sleeker and stronger. If you think baby has been left out of the picture so far, well you’d be mistaken! A super aerocore seat provides the best in shock absorption, ventilation, cushioning and support, plus is waterproof and wipeable to withstand soggy biscuits and nappy explosions. The Phil and Teds Sub4 is rolling out this year and will be released soon after in Australia. No date as yet, but we’ll keep you posted! If you’d like to compare other prams on the market, check out our handy Chooser feature.